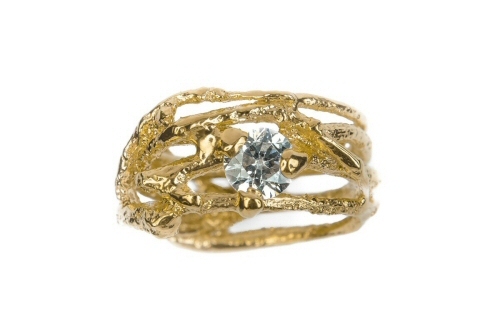 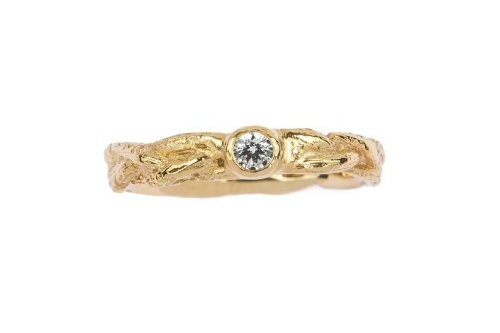 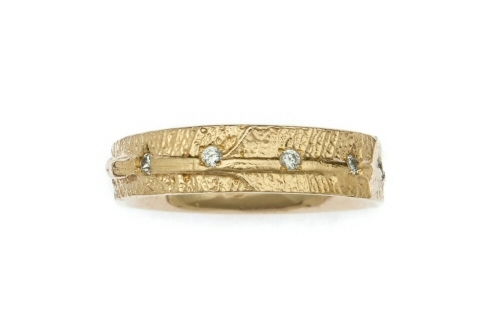 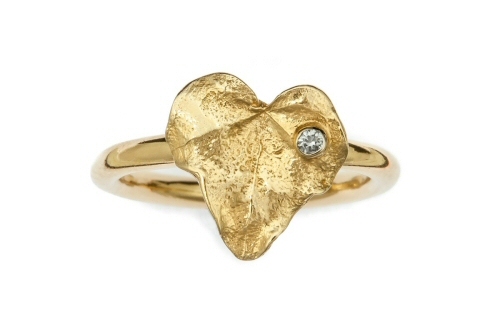 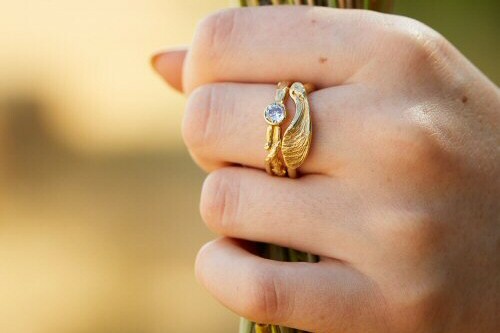 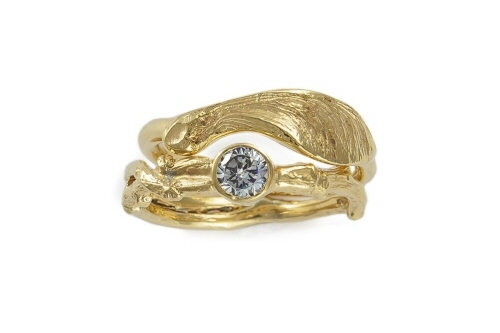 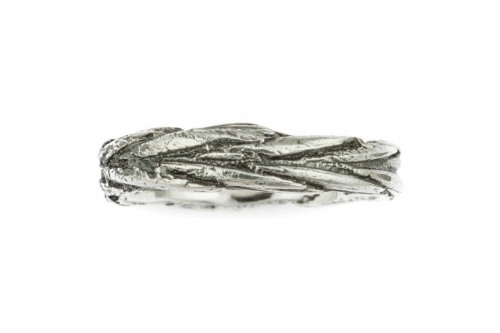 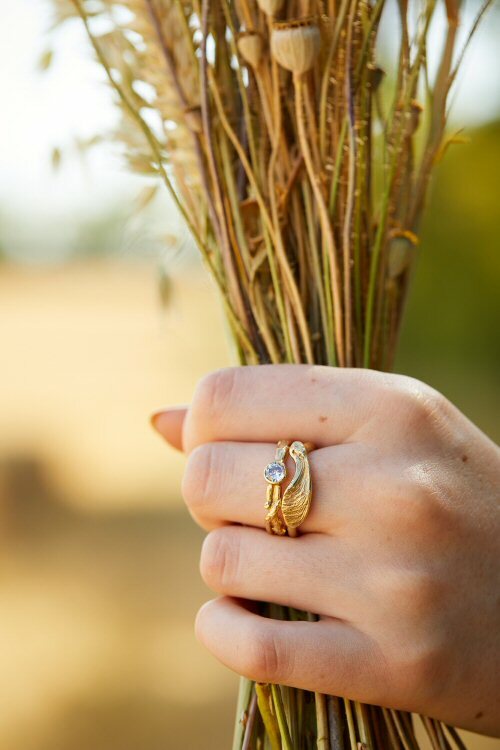 The sycamore seed is made into a wedding ring that pairs with the twig and diamond engagement ring, the sycamore seed curving around the diamond to create a woodland wedding set. 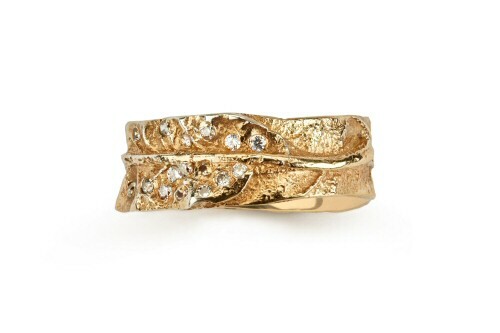 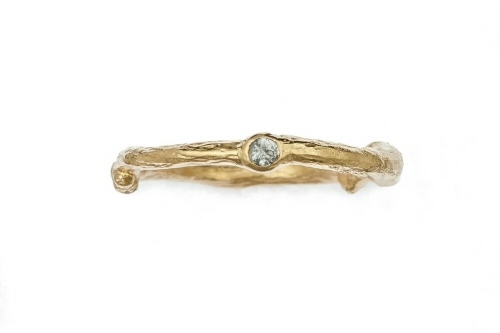 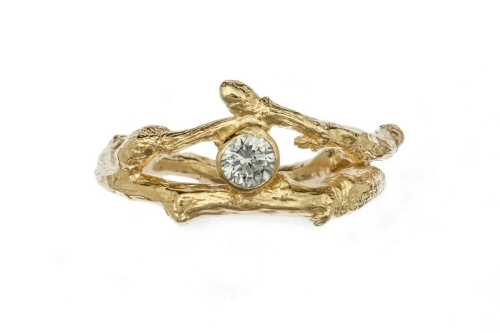 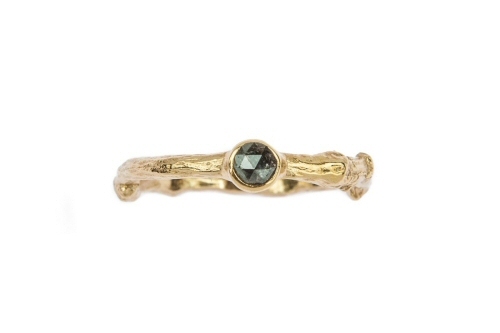 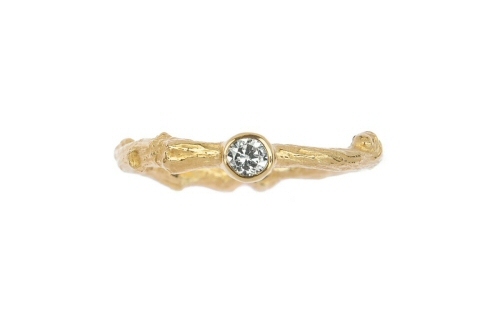 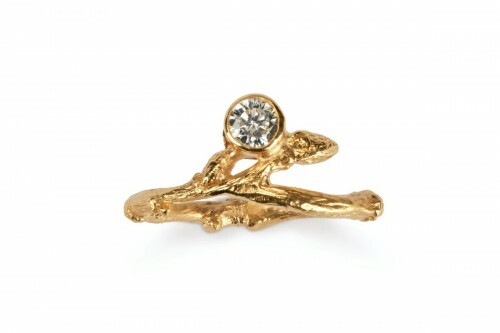 This twig and sycamore seed were both collected from the woodland floor, cast from life and now in solid 18ct yellow gold, the gold twig ring is set with a 0.25ct brilliant cut round diamond. 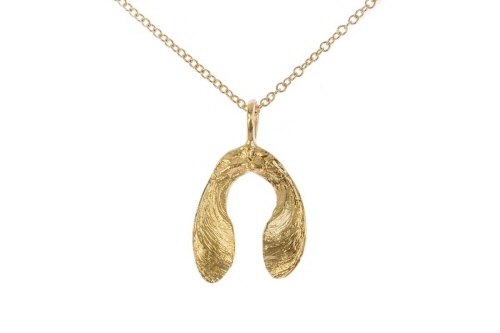 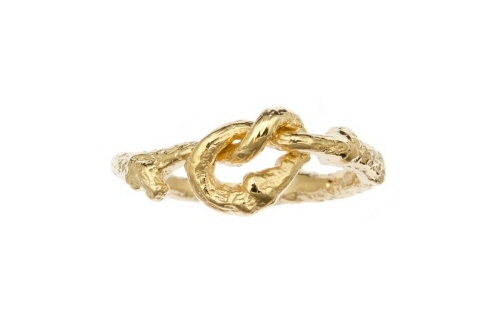 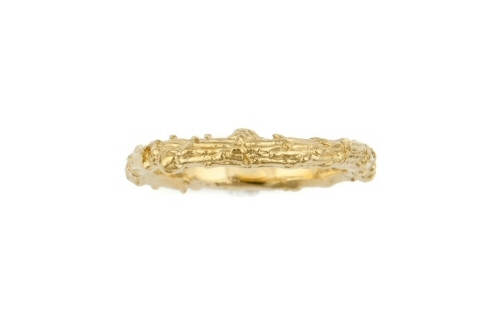 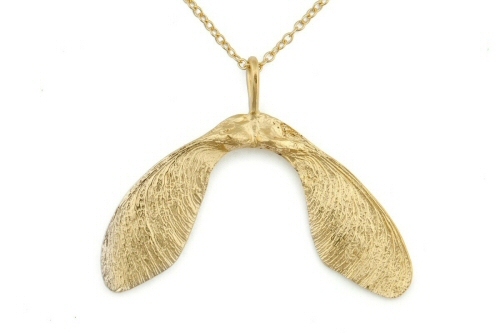 Every fine detail is retained from the original natural form, now in solid gold to be worn for a life time. 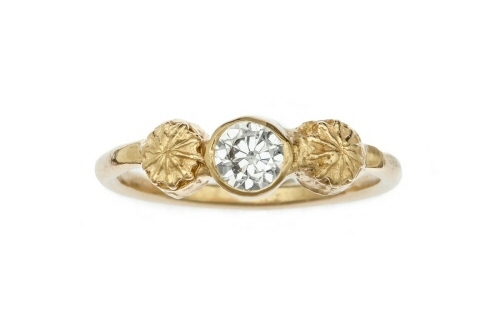 The rings are made by hand in Oxfordshire, and both carry a Birmingham hallmark. 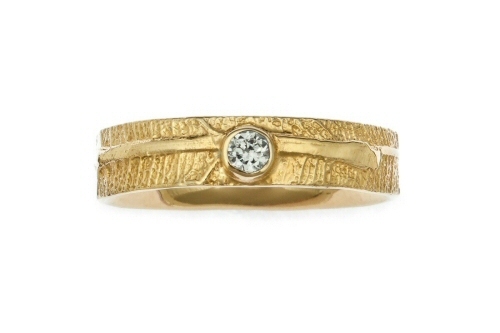 This wedding set can be made in yellow, white or rose gold.